BrightStar Systems is proud to announce our Future Technologies Scholarship for undergraduate students. At BrightStar Systems, we deliver high-quality pre-owned networking equipment to our customers to help grow their businesses. We understand that value and quality are important when purchasing technology to help run a successful business. With this in mind, we thoroughly test all reconditioned equipment. Our goal is to deliver our best to our customers every day. Technology continues to change the way we communicate, work, and live every day. As a company that prides ourselves on delivering current pieces of technology to our customers, we would love to hear the perspective of the next generation. We have created a $1,000 scholarship for one undergraduate student who can display how technology has changed their life. All applications must be submitted by March 15, 2020. A winner will be selected and notified via email by April 1, 2020. We are excited to announce Johnathon Kyle Midgette from Beaufort Community College as our 2019 winner. To read his essay, please click here. Winning candidate will be selected by a panel of judges from BrightStar Systems. Any questions about The BrightStar Systems Future Technologies Scholarship can be directed to justin@brightstarsystems.com. The scholarship funds provided by BrightStar Systems will be sent via check to the college or university. Funds are to be applied to qualified college expenses (including tuition, fees, books, and on-campus room and board) for the current academic year. By submitting an application, the applicant automatically grants BrightStar Systems permission to post the applicant’s name, college, photo (if submitted), and the essay on brightstarsystems.com or in other marketing communications. We are also granted permission to send you information regarding your application. Applicants must cover all of the essay questions posed to be considered. The winning applicant will be notified directly by April 1, 2019 and an announcement of the winner will be posted on our scholarship page on that date as well. All submitted photos and essays must be original work of the applicant. Only one submission may be entered per student, per year. Duplicate entries will be disqualified. All scholarships are non-renewable. 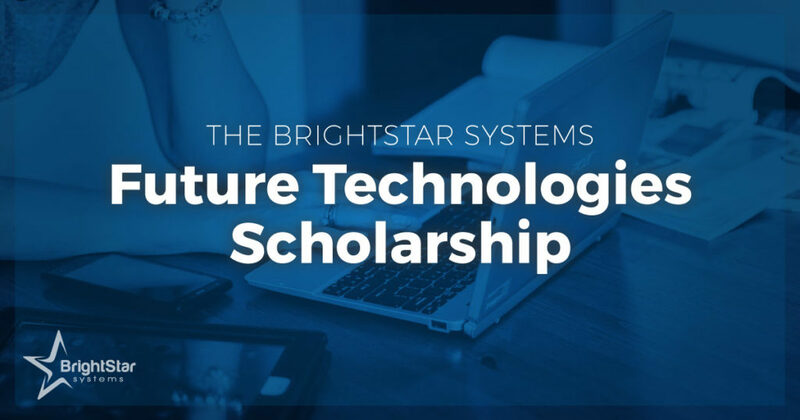 By submitting an application to The BrightStar Systems Future Technologies Scholarship, you certify that all the information you have provided is original, accurate, and complete. Use their name, photo, essay response, and award amount, if any, in announcements or articles (i.e. social media, newsletter, etc) issued by BrightStar Systems. Post the applicant’s name, college or university, and the essay on brightstarsystems.com. Winners will be notified via email, and announced publicly, as well as on BrightStar Systems’ social media pages. BrightStar Systems is one of the world’s largest stocking dealers of pre-owned network equipment. We specialize in the acquisition and resale of pre-owned Juniper, Arista and Cisco hardware for medium and large-scale service providers and enterprises. We work every day to provide businesses with quality refurbished networking technology. On top of excellent products, we offer extended warranties for all equipment. Our main priority is to ensure the success of our clients.